When you are first prescribed oxygen and when you are choosing your home oxygen concentrator or portable concentrator, it can feel somewhat intimidating. You do not want to do anything wrong that could damage the machine, and you want to make sure that you understand not only how to use it properly, but also how to maintain the machine. Many people today have these concentrators. They can help those who are suffering from chronic obstructive pulmonary disease, lung disease, and other health issues. They might have stationary oxygen concentrators that stay at home or they could have portable oxygen concentrators. While each of the makes and models may have somewhat different features, you will find that the basics of using the concentrator tends to be the same. It also happens to be relatively easy, and you can learn quickly. If you have a battery operated oxygen concentrator, make sure that the battery is charged and that it is properly installed. Those who have stationary oxygen concentrators that have a cord will want to plug the cord into the electrical outlet. If there is a humidifier, you can connect it. For those who have large, stationary devices, it tends to be a good idea to keep them located at least a foot or two away from the wall. This will ensure that the exhaust and the intake have plenty of room. Make sure the particle filters are in place and that your nasal cannula and mask are properly connected. Turn on the machine and check to make sure that the oxygen flow rate is providing you with the proper liters per minute. Apply the nasal cannula or mask and the machine should be ready to go. As you can see, they tend to be relatively simple to use, so once you have started it up a few times, you should not have any issues. Be sure you know how to charge the portable devices and that you understand how their batteries work and how long they last. This will ensure that you know when you need to change a battery. Take the time to learn the basic functionality of the machine, and you will understand the ins and outs before you know it. As mentioned, each of the medical oxygen concentrators could be somewhat different. Some will have LCD screens, while some of the smaller, portable devices will not. Therefore, you should always make sure you have the owner’s manual handy, especially when you are first starting to use a machine. Even if you have used similar machines in the past, if you have a new machine, be sure to go through the manual first. This will help you familiarize yourself with how it works and where the controls are located. The manufacturer will likely be able to answer any questions you have about the machine, as well. Whether you are using a continuous flow oxygen concentrator that stays at home or a portable oxygen concentrator that you can take with you, make sure it is kept in good working order. Your health will depend on it. The following are some simple tips that can help to ensure that your machine keeps running properly. First, consider resting the machine occasionally. Even though they are able to run for 24hrs a day, they could overheat and suddenly stop. By allowing the machine to rest for about 20 minutes every eight hours or so, you can reduce the risk of this occurring. When the machine is offer, patients will want to use a standby device or oxygen tank to ensure that they still have the oxygen they need. In addition, if you have a machine with external filters, you will want to make sure that the filters are cleaned regularly. Try to clean them at least once per week. However, if the house is dusty or has pets, this might be needed more often. Make sure that the oxygen tubes are in good shape and that they do not have any kinks in them, clean the outside of the machine and make sure that you do not let any liquid get into the device. With proper care and usage, these machines have the capacity to last for a long time. Make sure that you are treating them with the respect they deserve, and they can provide you with years of use. With many of the home and portable concentrators on the market, the oxygen that flows through the device is typically measured in liters per minute, although there are some that will provide milliliters per minute. Typically, the continuous flow oxygen concentrators provide liters per minutes, whereas the pulse concentrators utilize milliliters per minute of pulse dose oxygen. Those who require oxygen therapy will receive a prescription from their doctor that will let them know their oxygen flow rate needs, such as 2.0 liters per minute, which is a common prescription. However, the exact amount you need could vary. The prescriptions will run between 1L and 10L per minute in most cases. What Type of Oxygen Concentrator Do You Need? Just because you might need to have a flow rate of 2.0 liters per minute, it does not mean that you need to necessarily have a continuous flow concentrator. There are also pulse flow options that can work for you. You just need to make sure that you talk with your doctor about your specific needs to be sure that you are getting just what you need. When it comes to the continuous flow oxygen concentrators, you will find that most of them will have easy to understand settings that will let you know just how much oxygen you are getting. That is not always the case with the portable pulse options. Instead, they will have a setting range that goes from one to eight, for example. The exact amount of oxygen that is provided in each of these settings will vary based on make and model. Just because you are on level three of a pulse concentrator does not mean that you are getting 3.0lpm. You need to know how much each of those levels with your make and model will provide, and then use that for your pulse dose settings. The concentrators with continuous flow settings tend to be a good solution for those who need to have access to oxygen around the clock, including overnight. If you are active and are always out, then you might want to have a portable oxygen concentrator. For those who need both of these options, there are hybrid machines available. However, you could always simply have one of each type of concentrator. Below are some of the many options available today that are available in a range of flow rates. You may find that one of these meets your needs and the requirements put forth by your doctor. Here is a quality pulse dose concentrator that weights only 7lbs with the 12-cell battery. This particular battery has a 4hr life. However, with the 24-cell battery, it can last for up to eight hours. This is a popular, light, and efficient model that can work extremely well and is FAA approved. The unit gets up and running quickly, typically requiring less than two minutes before it is ready to go. It also tends to be quiet. 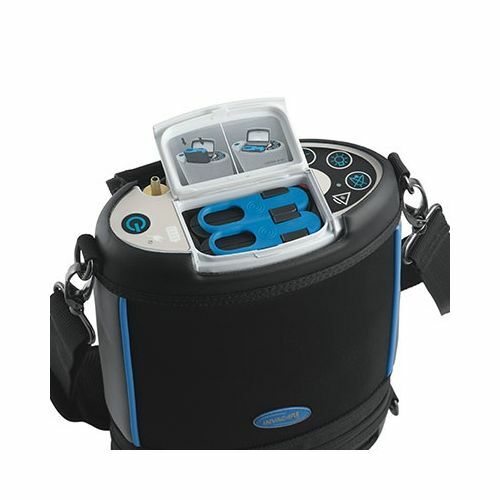 This pulse dose concentrator weights only 4.9lbs with the 8-cell battery and it has a battery life of four hours. It is a very light and easily portable unit, which makes it a nice solution for those who like to travel and those who have an active life. It offers settings that range from one to five with the oxygen concentration levels typically being around 90%. It is FAA approved and can be used easily on flights, buses, cruise ships, and more. Here is a portable option that is a bit larger and heavier than the ones looked at thus far. It weighs 15lbs and it is FAA approved. One of the nice elements of this machine is that it is a hybrid. This means it can provide either pulse dose or continuous flow modes. When in the continuous flow mode, it can provide a flow rate between 0.5 and 3.0 liters per minute. When it is in pulse dose mode, it can provide between 16ml and 192ml per minute. This machine also offers either pulse dose or continuous flow. It is 14lbs and it can last for up to 5.7 hours on a battery. It is one of the best and lightest options for those who still want a machine that is portable, but that can deliver continuous flow of up to 3.0 liters per minute. The flow rate ranges from 0.5 up to 3.0 liters per minute. The pulse dose range goes from 16ml to 96ml. The eQuinox also has something called super dose settings, that can allow for 128ml, 160ml, and 192ml for those who need to have higher pulse doses. These are some of the options on the market that have a range of different liters per minute settings that could work well for you. 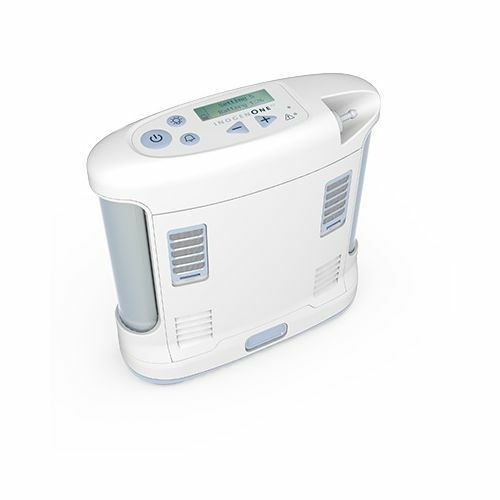 When choosing an oxygen concentrator, you need to consider how and where you will be using the machine, as this can let you know what type you need, as mentioned above. Whether you are looking for pulse dose or continuous oxygen delivery systems, you will want to make sure that you find the perfect solution for your needs. Not only do you need to find an oxygen concentrator that can provide you with the proper liters per minute, you also want to find a seller that can provide you with quality equipment. Check their oxygen concentrator product FAQs to get a better gauge on the products they offer, along with their returns and exchanges policy. Learn more about the options available and find those that you feel will best fit what you need from the oxygen concentrator. Above, there are several quality options that could work well for your needs. However, these are certainly not the only concentrators out there. Search for others that will meet your oxygen requirements for liters per minute of O2 and that have other features that you might need. Since 1997, AllegroMedical.com has been providing medical supplies and equipment to aging adults, caregivers and people with disabilities, rely on AllegroMedical.com for all of your product needs.